Applying for mortgage in Canada is the same as in most countries. Each mortgage application is considered on a case-by-case basis, with Canadian residents and first-time buyers given privileges. 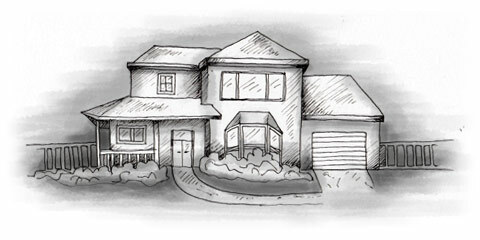 Foreign banks cannot lend mortgages in Canada, so you must use a Canadian mortgage broker. Non-residents can expect mortgages to cover 65% of their purchase. Residents receive 75% on average, although this can go up to 80%. Mortgages can have interest rates of around 6% for long-term loans. Most home owners reimburse their mortgages within 15-25 years via monthly installment payments. If your down-payment for the property is less than 25%, you must take out a mortgage insurance through your lender. First-time home buyers who have residency status receive extra benefits. Depending on the bank, their mortgage can cover 90-95% of the property. The government also provides incentives: $25,000 can be withdrawn from the Registered Retirement Savings Plan towards the cost of a building or a home. If you have a spouse, you can obtain $50,000. This money is interest-free for the first 15 years. If not reimbursed in full during this period, the remainder will be taxed and treated like a loan. Proof of liabilities: loans, debts, car payments, etc. Mortgage approval normally takes one to two days after reception of all necessary documents.